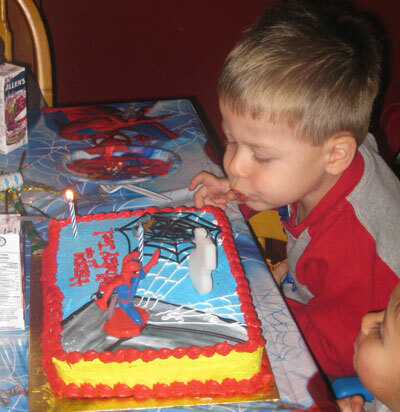 Have you ever noticed the way kids always want to help the birthday boy/girl blow out the birthday candles on a cake? They crowd in and hover as close as they can get, take a deep breathe and blow all over the cake! There's no wonder they all want a piece of the action, birthdays make you feel special! So why not create that moment of magic any day of the year? That's when the idea came to me, why not have it be a birthday cake? So with some friends, we lit the candles, sang happy birthday to everyone, and let the kids blow them out. You should have seen those happy faces!